You want to upgrade your computer or purchase a laptop but you are determined to pay CASH! You plan to save and want to watch your progress on a Sinking Fund chart. The Computer Sinking Fund Chart is here to save the day! Visions of a MacBook Pro are dancing in my head. Can you believe I have never owned a laptop? They kind of scare me. That mouse, right on the keyboard like that, freaks me out. I’ve tried to use it but it just doesn’t work out quite right. Mouse issues aside, I’m ready! Ready to own my first laptop. The luxury of working while sitting on the couch appeals to me. Imagine all the things I could accomplish while still in the same room as my family! There’d be no need to seclude myself in the other room while the rest of the family carries on with puns and stories from the day. I could be right smack dab in the middle of it all with my beautiful MacBook Pro! THAT means I gotta SAVE to make my couch sitting, computer wielding, family participation dreams a reality! Gain access to the Computer Sinking Fund Chart below! 2. Determine how much you will save for your new computer and write it on the Goal line. 3. Record the date you would like to purchase your new computer. 7. Make your new computer a part of your monthly budget! If you plan to save $2,000 and you want to save it in 10 months, you need to incorporate $200 a month into your spending plan. As for that mouse, I plan to purchase a wireless mouse so I don’t even have to figure that thing out. Who has patience for that? 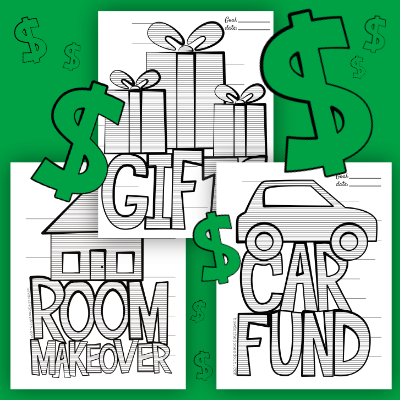 Gain access to the Computer Sinking Fund Chart here!